Looking for Golf Homes in Sun Lakes AZ? You’ve come to the right place! Sun Lakes, Arizona has 99 holes of golf in 5 separate communities. Each community has an 18 hole golf course except Oakwood that has three 9-hole courses with 18 holes rotated between the Lakes, Palms and Sonoran Courses. Find homes on the golf course from the $100,000’s in Sun Lakes Country Club to over $900,000 in Oakwood Country Club. Each course has a well appointed Pro Shop with instruction available, putting facility and some have a driving range. 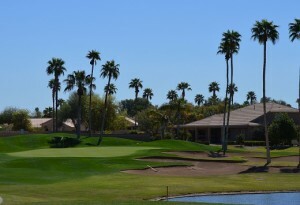 Take a look at golf course homes for sale in Sun Lakes AZ and call us at 480-440-0849 for more information!